TOKYO - A Japan Airlines- operated Boeing 787 made an emergency landing at Honolulu Airport after oil pressure in its right engine dropped, the Japanese carrier said. The two-engined jetliner en route to San Francisco from Tokyo diverted to Honolulu, landing at 1343 local time Saturday with 160 passengers on board, a spokesman for JAL said. No one was injured in the incident. "We are investigating the cause of the drop in oil pressure," the spokesman said. The Dreamliner is still parked in Hawaii, he added. The jet is the same one on which a battery melted and emitted smoke at Boston's Logan airport in January last year. A subsequent battery overheating on a 787 owned by ANA Holdings several days later prompted regulators to ground the global fleet of carbon composite 787s for more than three months. 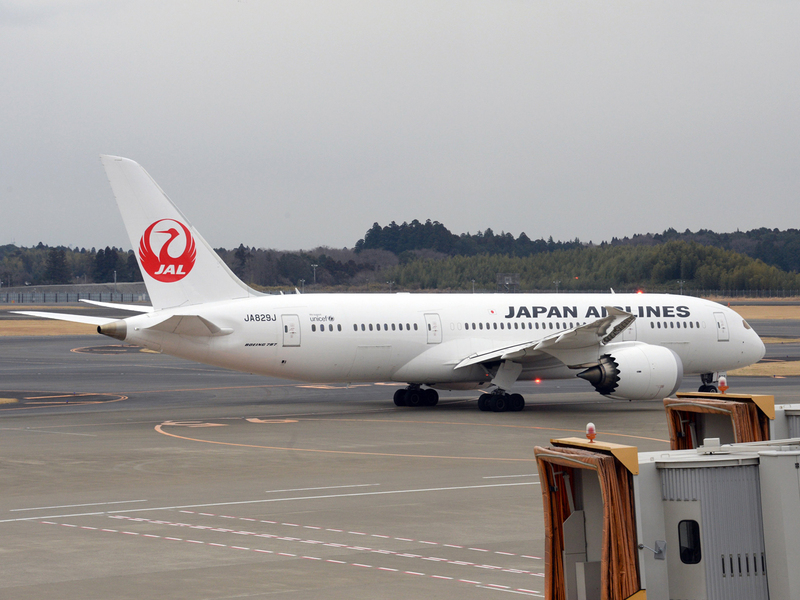 Investigators in Japan are also probing a battery that overheated on a JAL Dreamliner parked at Tokyo's Narita airport in January this year. Authorities have yet to discover the root cause of the any of those meltdowns. They allowed Boeing to return the 787 to operation after it redesigned the battery with insulation, a vent to eject any hot gases out of the aircraft, and encased it in a steel box to contain any fire.